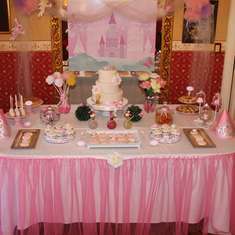 Party inspired by classic story of the Nutcracker Sweet. 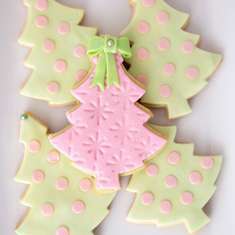 Although not your traditional holiday colors pale pink, mint and gold pair well to bring you a softer side of Christmas! Party idea conception and style by Shauna of Cupcake With Character. 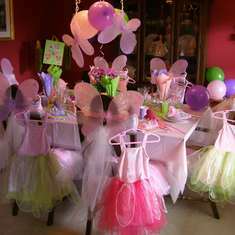 A perfect theme for any birthday party or baby shower. I can even see this as a beautiful winter wedding! Beautiful photos by the amazing and talented Katie of ktmoffitt photography! Always a pleasure to work with. Her work speaks for itself. The gorgeous table tutu created by Sweets Indeed added an extra special touch to the dessert table. The glitter white tulle backdrop was created with 3 yards of tulle draped over clear fishing line and bunched together. Inexpensive and easy to create! All party printables (favor cones, banner, tags, cupcake wrappers, glitter gold snowflake toppers, heart garland) created by Cupcake With Character. The adorable plastic milk bottles from The Sugar Confetti Shop were dressed up with water resistant labels from Cupcake With Character. Pastel pink gift bags (paper eskimo) can be found at Cupcake With Character. Each gift bag was filled with the Citrus Sugar Cookies from Michelle of Tastefully Simple. The twine from the Sugar Confetti Shop was used to attach the delicate holiday ornament favors from I Have A Favor. A sweet favor for every little guest to hang on their tree. The sparkling gold cake pops are to die for! Rich yummy chocolate and always a treat from Autumn Lynn's Chocolate Sins. The mint and gold star marshmallow pops were the perfect fairy wands for any little girls party! My kids loved them. The pink snowflake chocolate dipped Oreos were another perfect sweet addition. Both by Sweet U Off Your Feet. Vanilla cupcakes with buttercream frosting made by Cupcake With Character. Available locally! Dressed up with coordinating cupcake wrappers. Available in standard and mini sizes. 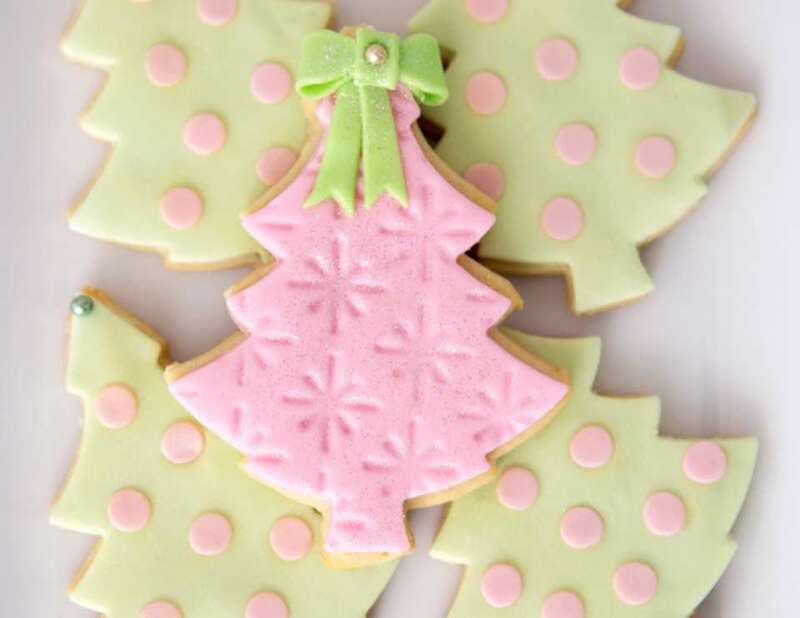 The Christmas tree cookies, a perfect compliment to the theme and color scheme. Cookies created by Kima's Konfections. Mint paper straws (eco friendly!) were provided by Blugrass Designs. 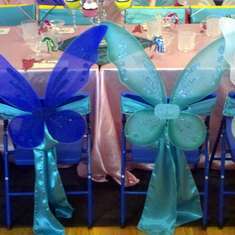 Blugrass Designs has a large variety of colors to fit any color scheme. The tulle wreath, a perfect compliment to the backdrop. You can even place on your daughters bedroom door after the party! Beautiful and of highest quality by Fizzy Party. The extra large glitter snowflakes helped set the mood for winter when added to the heart garland and tulle backdrop. Created by Creativities Galore.